Tania Head, Elia Zedeno, Gerry Bogacz et al. 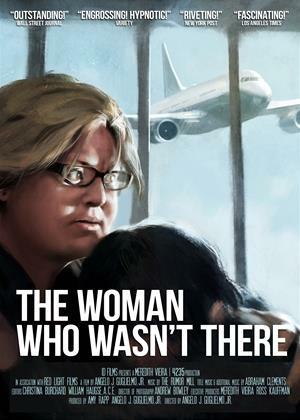 "The Woman Who Wasn't There" is a psychological thriller that goes inside the mind of history’s most infamous 9/11 survivor. Tania Head’s jaw-dropping tale of escape from the south tower was the most astounding: the unimaginable hell she witnessed, the injuries she suffered, and the tragic loss of her fiancée, Dave, in the north tower. She rose to national prominence when she became President of the World Trade Center Survivors’ Network - putting survivors on the map and on the road to recovery. Tania asked director Angelo J. Guglielmo Jr., to shoot a documentary about her group and they became great friends. She sat before his camera and gave a series of stunning interviews, recounting her journey in chilling detail. But, while they were shooting a problem emerged: Tania Head was never in the Twin Towers on September 11th, 2001 and her entire story was an invention of her prodigious imagination. With complete access and participation from The Survivors’ Network, the story is told from a unique perspective that has yet to be seen and allows the audience to play detective and unravel the psychological mystery of Head’s magnificent tale. The documentary follows the rise of Tania, the unraveling of her story, the revelation of its fabrication, the reactions and repercussions from her closest colleagues, and it seeks to answer the one burning question that remains: who is Tania Head?